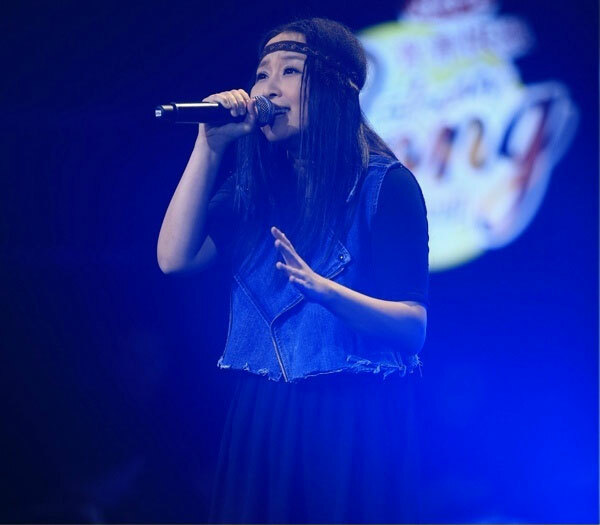 Liu Jin, 36, a Shanghai musician, appeared on the "Sing My Song" show on Jan. 10, 2014, to perform her song "The 11th Year," which talks about her and her determination to make music. "Sing My Song" is a new music competition show broadcasted on China Central Television's music channel. It is more or less similar to "The Voice" and includes blind auditions. Yet the difference is that "Sing My Song" requires singers to be original and sing their own songs. Liu Huan, Yang Kun, Emil Chau and Tanya Chua are the coaches for the show's first season. The producers of the hugely popular "The Voice of China" and several other music competitions approached Liu years ago, but she turned them down. Until they offered her "Sing My Song." "I felt this competition was more fit for me," She said, "I'm an original musician and singer; I want to share the music that I've created on stage with others." It has been a long time since Liu stepped onto a big stage like this. Yet she once upon a time had a splendid resume: Liu once penned and sang several famous theme songs for various TV series and films, including "Vancouver." She also sang in the outdoor grand show "Impression Liu Sanjie" directed by Zhang Yimou, as well as performed "I Know I Can" during the Special Olympics in 2007, written by with legendary Quincy Jones and Siedah Garrett. "I feel high on the big stage, it is natural for me," Liu said, but she confessed she was very nervous when she broke out the first note of "Sing My Song." She had caught a cold and her voice was suffering that very same day, but that didn't stop still three out of four coaches from wanting her to join their teams. Liu eventually chose Chau. "I'm surprised three of them recognized me and they are all my favorites, so it's very hard to choose," Liu remembered, "But I had just listened to Chau's new album and I loved the concept very much, so I decided to do music with him. That was my choice. Besides, my parents love him too." As she told audiences during the show, although Liu enjoyed a low level of fame in the past, she is still struggling to make a living by selling her songs. "If I can't sell my songs for a period of time, I have to sell something else so that I can have something to eat," Liu joked. To stay in the background for a long time and still keep your musical dreams alive is hard, she said, especially considering the relatively unpleasant Chinese music environment. Nevertheless, the passion for creating music never left her body, "I want to constantly challenge myself and be innovative," she said. She now has more than 100 demo songs and has thus far created a wide range of music across the various genres of rock, R&B, hip hop, electro, dance, world music, folk, blues, jazz and more. Liu said she had always wanted to release an album of her own, but has not yet had the chance. Now, she's focusing on the competition. "It is nothing too special for me regarding what I have gone through. There's no such thing as a perfect life anywhere in the world. It is very important to know that when you lose something, you also gain something. Be happy and walk your own path. It is worth it. Enjoy your life! " Liu also shared her thoughts on China's music business, "As 'Sing My Song' has been topping TV ratings, more and more people are beginning to pay attention. This also indicates that people are longing for more original music and want to be surprised. This is what we music creators need to do most of all: write good songs and make good music!"